Not just restaurants, we handle healthcare textiles too! Scrubs, uniforms, gowns and freshly laundered linen play a critical role in the patient experience at all medical facilities. New System provides completely sanitary laundering services and linen products for healthcare facilities following the strictest standards for handling, processing and transporting textile. New System Laundry takes great care in processing healthcare textiles making sure their healthcare customer’s are always looking their best. New System offers scrubs, uniforms and linen programs that enhance the professionalism of your staff, which in turn, puts your patients at ease. 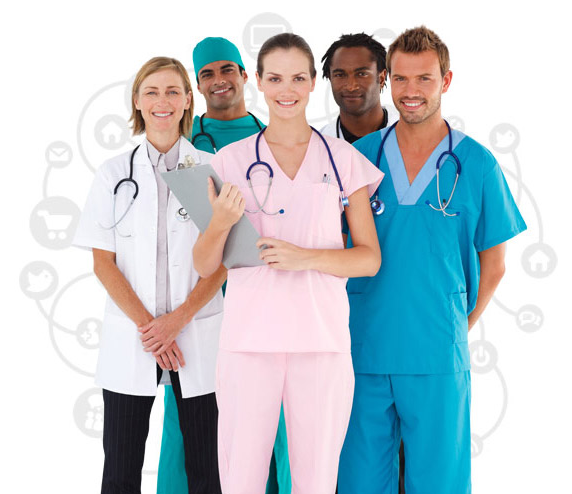 From doctors and dentists, chiropractors to pharmacists, a distinct uniform package will create a professional first impression, express trust and credibility, and help make employees easily recognizable to patients. Give us a call and we can help you make an impactful first impression for your medical facility, large or small.